How do I create an additional email account or mailbox? If you are the sole operator of your business or website, then creating additional user email accounts/mailboxes is not recommended. Creating additional user email accounts requires you to add the additional mailboxes to your email program resulting in having to check multiple different standalone mailboxes. A far simpler solution is to create an email alias and have this alias send mail to your existing mailbox. Email aliases are used to create additional identities for an existing email address. 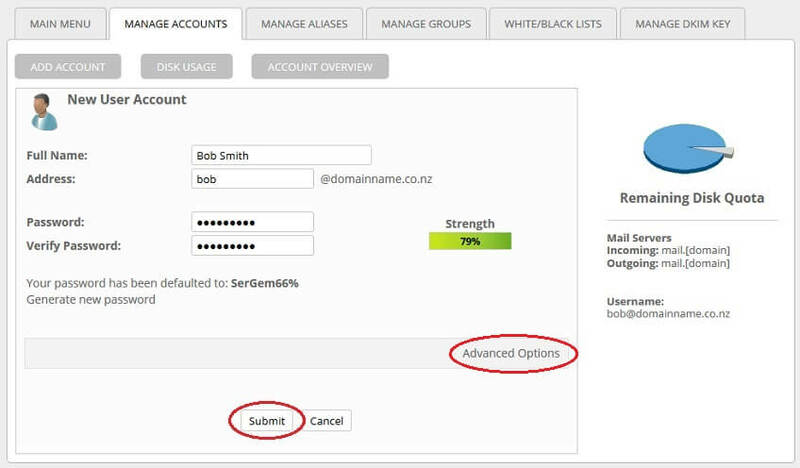 For example, you can create aliases [email protected], [email protected]domainname.co.nz or [email protected]domainname.co.nz and have this mail send to your main Domain Admin email account meaning you only ever have to check the one mailbox. How do I create an email alias? 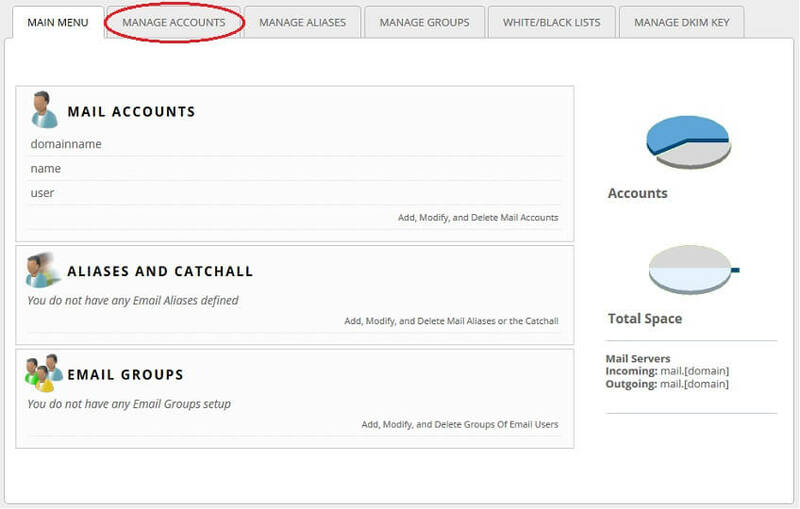 If you would like to create an additional standalone email account or mailbox, login to your Mail Control Panel. How do I login to my Mail Control Panel? Next, click on Manage Accounts. Clicking Generate new password will assign a randomly generated password to your email account. Advanced Options will allow you to configure your mailbox quota, content filtering and automatic message cleanup. Click Submit to create your new account. Now you can setup your new email account in your email program. How do I delete an email account or mailbox? What are the non-SSL connection settings for my email client? What is the difference between POP and IMAP and which should I use? How do I view and manage my email disk space?